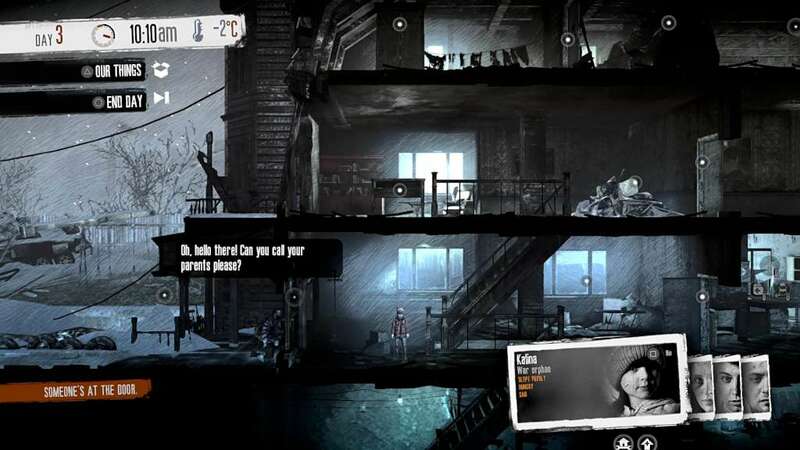 DescriptionThis War of Mine is a war survival video game developed and published by the Polish game development company 11 bit studios. The game, inspired by the 1992–96 Siege of Sarajevo during the Bosnian War, differs from most war-themed video games by focusing on the civilian experience of war rather than frontline combat. 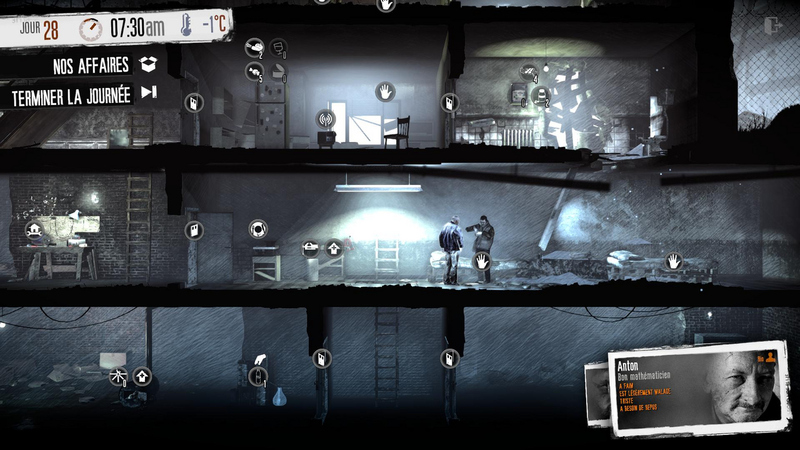 This War of Mine: This War Of Mine you do not play as an elite soldier, rather a group of civilians trying to survive in a besieged city; struggling with lack of food, medicine and constant danger from snipers and hostile scavengers.